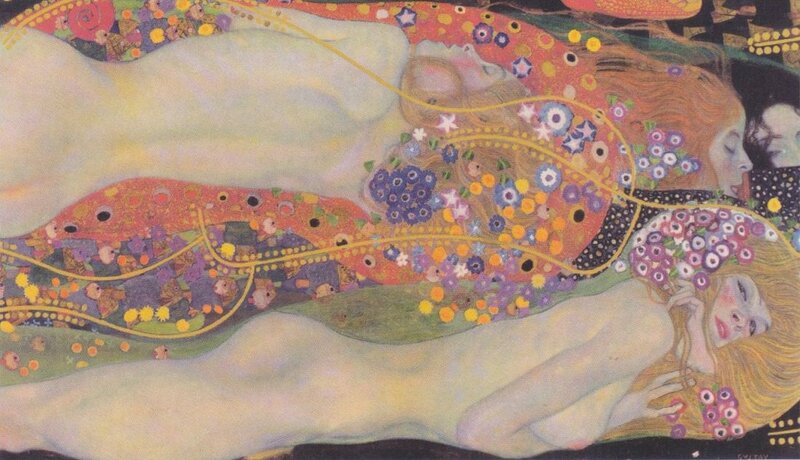 Gustav Klimt; who else better look at for when it comes down to feminism and the many stereotypes of women? I absolutely love his work, the colours and patterns mainly taking my interest, but – the themes of many of his female paintings relate strongly to my previous post of Soasig Chamaillard and her take on the Virgin Mary. What i have noticed about his work is that there is always a valid point and theme made within his paintings, whether it be sexuality (top right), prostitution (top left) or power of women (middle). But, the specific relation here is the Virgin Mary he captures in his own terms; this time called a Madonna, who he painted to resemble a prostitute. The idea may be harsh upon women, but the controversial theme of modernising and changing the role of someone superior to something much more relatable to our generation is clear. 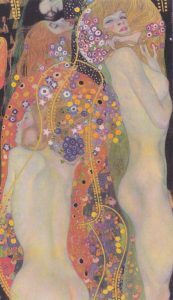 This also influences my next steps on choosing the theme for the project, so perhaps Klimt’s work could lead me into the direction of the theme of purity and its opposite. Posted on January 16, 2017 January 16, 2017 by Madi Mcinnes	This entry was posted in . Bookmark the permalink.